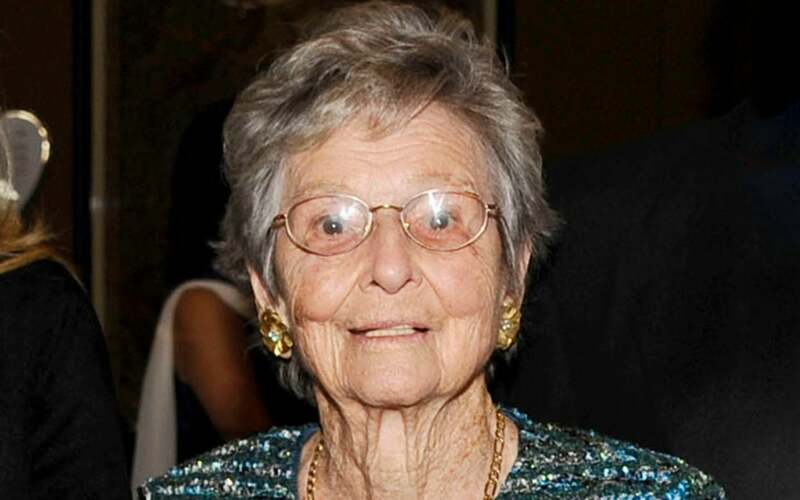 Mary D. Lindsay has been a friend and an advocate of Cold Spring Harbor Laboratory for well over fifty years. A member of the Laboratory Association Board and the Board of Trustees for as long as the by-laws allow, she currently serves actively as Honorary Director and Honorary Trustee. A nurturer by nature, Mary knew she wanted to become a nurse at the onset of World War II. After attending the University of Pennsylvania, she enrolled in the Columbia Presbyterian School of Nursing where she obtained her RN in 1945. She worked as a nurse in New York and Connecticut until moving with her husband George to Laurel Hollow in the 1950’s. She became involved in the Laboratory Association, planning events and activities for the local community and Lab scientists, staff and their families. Concerned for the young scientist families who came from across the country and around the world, Mary was instrumental in a lengthy but successful quest to establish CSHL’s Child Care Center. Today, the vibrant Mary D. Lindsay Child Care Center is a vital component of the Laboratory’s ability to attract many of the world’s most promising young scientists. As her own family grew Mary continued to volunteer her time to hospital and family planning efforts. She has been president of the boards of The Margaret Sanger Research Bureau, Planned Parenthood of New York City, and Family Planning Advocates, New York State. She was on the board of Planned Parenthood Federation of America, and served or serves on the boards of numerous charitable organizations besides Cold Spring Harbor Laboratory including Union Theological Seminary and Columbia University School of Nursing, where she was designated Alumna of the Century. In 1969 Mary founded Friends of UNFPA, the lead United Nations agency which advocates universal access to sexual and reproductive health, including voluntary family planning and safe motherhood. She is an Emeritus Director of Pathfinder International which she has represented at United Nations forums in Amsterdam and The Hague. Mary, an inspiration to all who have had the opportunity to work with her, remains an extraordinarily hard working advocate for health, women’s rights and social equality.